Spain Yoga Trip, Valencia, September 2017 – Saturday 2nd to Tuesday 5th September 2017, Valencia, Spain. The Orange Tree in Valencia, approximately 20 minutes from the airport (by car) for our Spain Yoga Trip. The accommodation is a modest bungalow set in a remote orange grove. The bungalow comprises of six bedrooms, four of which come with an en-suite. 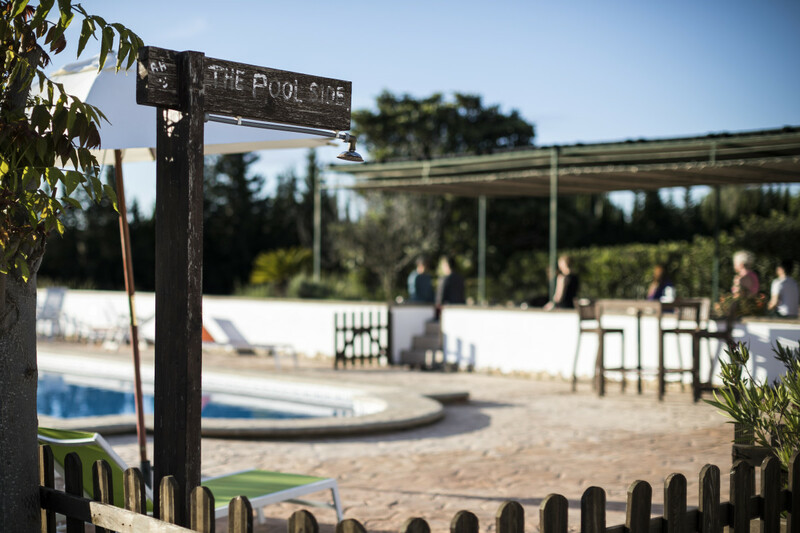 An open covered terrace overlooks the pool and orange grove, we also have access to a purpose built indoor Yoga studio. Though on the whole, we find the scenic decking area is ideal for Yoga outside! A late summer break, combined with a mini-Yoga retreat / relaxing holiday time. 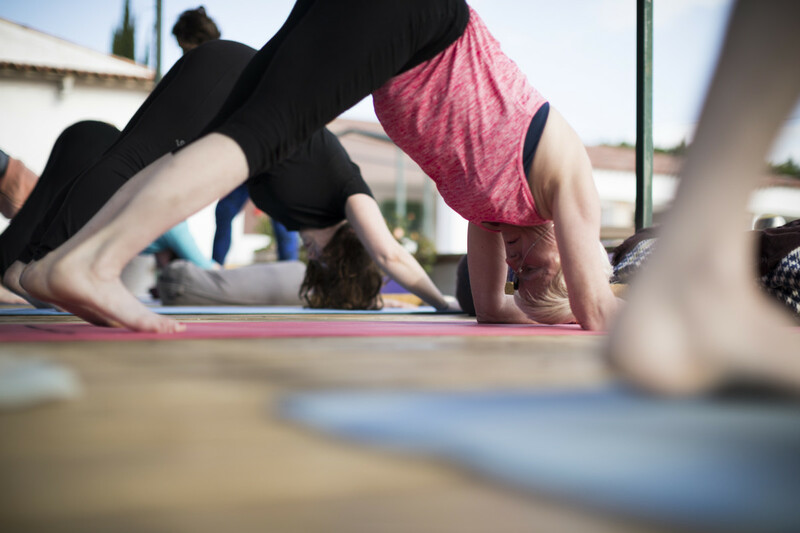 There’s time for building your Yoga practice, chilling by the pool, and on the last day popping into Valencia for some sightseeing and a meal out. There are no hard and fast rules on the retreat / Yoga trip, though bear in mind the Yoga is for everyone that attends. Expect an uplifting, easygoing, non-competitive Yoga time, which is suitable for mixed levels of ability. The fee for the 3 night stay includes group Yoga tuition, Yoga equipment, home-made food, refreshments and accommodation. Saturday evening / night Time to retreat, with some nourishing home cooked food and a mini meet and greet for everyone. A short soothing evening practice before bed time with Yoga and simple guided meditation to aid a restful sleep. Sunday There’s 3 soothing, strong, yet super relaxed Yoga sessions. Plus delicious homemade treats, from brunch to supper! There’s time and (ample) space in the Orange Tree, to relax and unwind around the pool. You can sunbathe, read or sit sipping the freshly squeezed juice made from the oranges picked in the grove. Monday – Morning Yoga session, followed by brunch and time by the pool, before you get ready for the day trip to Valencia. You’ll have plenty of time to explore and sample the local cuisine. You can choose whether you’d like to explore Valencia City (and/) or the beach via Metro. Tuesday Final Yoga session, tasty brunch, pool time, packing up and farewells. Anyone who is up for deepening their Yoga practice and wants to spend time with like-minded people! Suits anyone in general good health, who wants to learn more about Yoga. We tailor the sessions to suit individual needs, and our pre-course questionnaire helps to ensure everyone gets something they are looking for out of the trip. • Up to 6 Yoga classes, Plus guided meditation, pranayama and Yoga Nidra- and the use of all equipment Yoga mats, bolsters, belts and blankets. How do I make the payment for the 3 night Yoga trip? • You can pay directly via Bank Transfer. Details will be sent along once a place has been offered. Please note we cannot hold onto, or reserve any places. • Arrangements for transfers to and from Valencia Airport – (if arranged via the Villa, expect to pay no more than 30 euros per trip, per car). • Please don’t delay your booking / payment – if there is a delay in your payment, we cannot guarantee a place will still be open for you. If all places are fully booked by the time you have transferred your money, you will receive a refund. Jasmin has been teaching Yoga over 15 years. Drawing on her training and experience of classical Hatha Yoga, Ashtanga Vinyasa Flow and anatomically based Vinyasa Flow. She has a knack of working with students of all levels and experience, and makes people feel at ease and confident in their practice and Yoga capability. She is a huge advocate of the deeper benefits of Yoga, beyond the physical, that can help to clear the cluttered mind. Her additional skills are in integrating her Psychology training into the meditation, relaxation and Yoga Nidra sessions.